Now more than ever, the Internet has become the primary method used by home buyers when looking for a new home. Online searches and listings have made it easier for prospective home buyers to find their dream homes. In 2013, 90 percent of home buyers did research online before choosing to buy their homes. Additionally, 76 percent of home buyers actually drove by homes that they found on the Internet. It’s clear that the Internet has become a staple in the world of real estate. This is great for home buyers and realtors too. However, this paradigm shift has created new challenges for real estate agencies and realtors. The advent of social media and content marketing has given everyone a voice. Realtors no longer have to rely on traditional advertising to gain exposure. While this has made it easier for agents to market themselves, it has also brought new challenges. Since any real estate agent can build a website and begin spreading their message online, it’s now become harder for firms to differentiate themselves from their competition: How do you stand out from all the other real estate firms in your area? This post will provide you with some sound online marketing techniques that will help you distinguish your firm. With hard work and focus, you can successfully build a viable and prominent brand in your community. The main rule of thumb that online marketing firms should follow is simply this: you must provide as much value as possible. Your online efforts will be pointless if they don’t provide a distinct benefit to your readers. Everything you do online should be done in a way that provides useful information, solves a problem, or answers specific questions. Create guides that help your readers better understand your market. These free guides should give value to your readers. A definitive guide to the local nightlife in your area. A guide that discusses the most kid-friendly places in your city. Annual guides that discuss the changes in your local real estate market. Guides such as these can help you provide relevant and helpful information to prospects that may be looking for a real estate agent in your area. They are also a great lead generator. If you offer the guide in exchange for the reader’s email, then you will be able to help them while earning the right to reach out to them. It’s not enough to use online marketing only to offer your services. If you want your firm to stand out from the others, you have to create a winning brand that makes your prospects want to engage with your firm. Personality — Are you funny? Authoritative? Hard working? 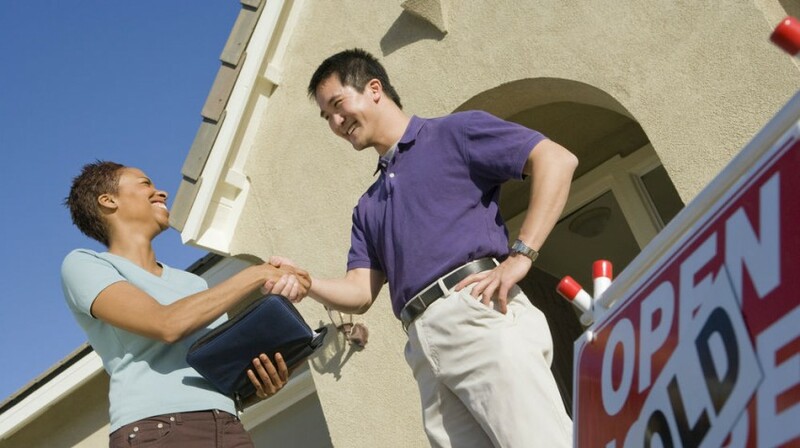 Every real estate agent has personality traits that make them a great choice for a prospect. Figure out what those are and make sure they show through in your online marketing efforts. Voice — What does your brand “sound” like? What tone will you take when you’re engaging with your readers? This is related to your personality. Use a voice that will resonate with potential leads. Story — What’s your brand’s story? Why did you decide to do real estate? What do you stand for? An essential component of a great brand is a great story. Craft your brand’s story, then make sure elements of your story are present in each piece of content you create. A great way to keep your clients engaged (even after you have already helped them) is to have a regular newsletter. Creating a newsletter will further position your firm as an authority in your area. As a real estate agent, you can use newsletters to provide relevant and helpful content to your audience on a continuous basis. Your newsletter should provide timely information about your community, information on events going on in the city, and other useful content. You can also use it to alert your audience to new blog posts. As a real estate agent, your primary online marketing tool should be your blog. Your blog is where you will share your most relevant and informative content on a regular basis. When you maintain a blog that regularly features unique and interesting information, it shows prospects that you are the expert at what you do. Post on topics that your prospects will care about. Answer commonly-asked questions. Give updates on the community. Spotlight local businesses. Educate your readers on your city. Write in a friendly, casual tone. Don’t be too wordy. Your blog isn’t the place to show your reader how brilliant you are. It’s where you will provide as much value as possible. Do not use your blog to promote your services or try to sell yourself. There are other places on your website for that. Try to make sure that your brand’s message comes through in each blog post you create. A sure fire way to build authority and influence is to share your content on other blogs. This gets you more exposure and shows potential prospects that you are an expert in your field. Find blogs that are relevant to your profession and become involved in the community. Then, pitch a blog topic on which to write. Not only does guest posting give you a platform to showcase your expertise, it can also increase your blog traffic and provide useful backlinks. This is great for your readership and SEO. Try to do as many guest blog postings as you can. If you’re a real estate agent, effective online marketing is essential to your success. When you’re engaging in online marketing, there’s one key point to remember: it’s all about providing value. It’s likely that one of the main reasons you decided to become a real estate agent is because you had a desire to help people. You get to be a part of one the most important decisions a person can make: choosing a home. Your online marketing strategy should flow from this desire. When you’re creating content, it should be designed to make it easier for your prospects when they are considering where to live. If you create content that actually helps your prospects in their search for a home, they will be more likely to hire you. In the end, a successful online marketing program will help you generate and convert more leads into actual clients.